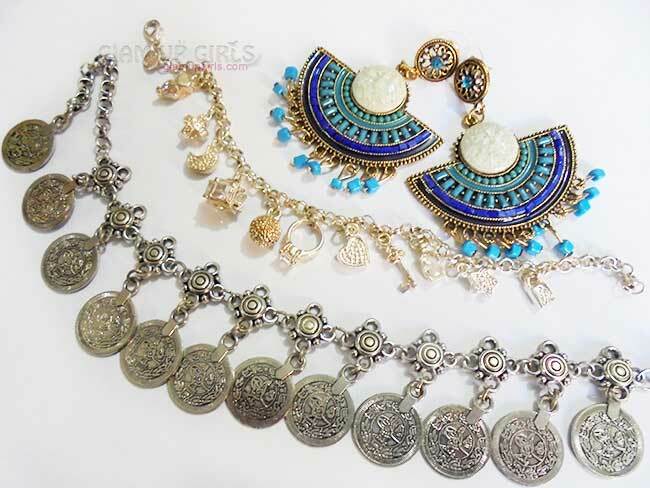 Who doesn't love some jewelry and that on very reasonable price. 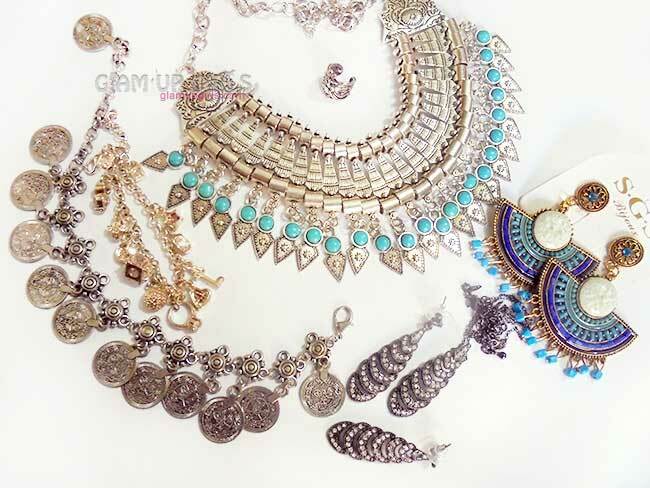 Well i love collecting different type of jewelry which can add an edgy and trendy look to your simple ordinary outfit. Online stores have become so popular in recent years where you can buy from wide range of products on very reasonable price and sometimes in fact you can get free shipping. Aliexpress is one of online stores which have an amazing collection. I have ordered few pieces some time ago and today i am going to share my haul and experience with you. Isn't this necklace amazing and for the price i couldn't resist it. It is not light weight made of ordinary materiel. In fact the quality is amazing which i was not expecting and in local market you will get this way more pricier. This coin bracelet is amazing. First i thought there might be some figure embossed on the coins but luckily they are similar to Turkish coins with some language written on it. The quality is very very good and for the price it is a steal. 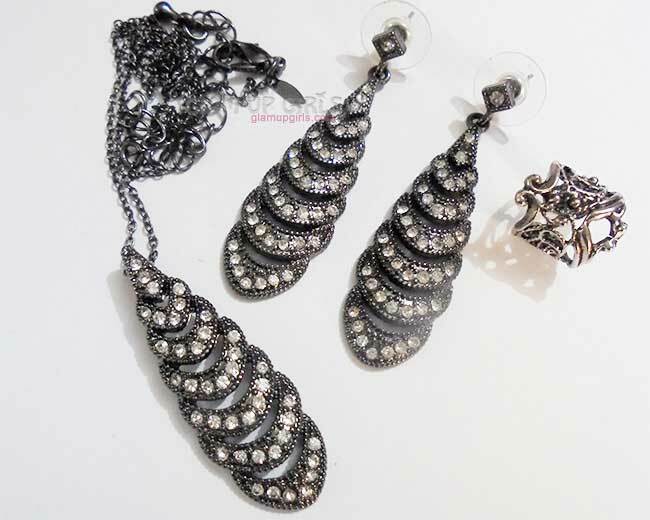 These earrings are really beautiful and the stones ad beads are attached tightly to it. the materiel is very good as well. It will be perfect pair for my summer lawn dresses. One more bracelet and surprisingly an amazing piece for its price. It has small ring, lock, keys and other small things. This necklace and earrings are seriously amazing. The materiel is of high quality and light weight. It even came in a beautiful box. A small ear cuff for my younger sister, it is really cute and easy to wear. Overall Aliexpress is best place for reasonable products with really good quality, you just have to search and read description thoroughly. The bad thing is that it can take more then 30 days to reach and worst your parcel can get lost. I have experienced that few of my parcels never reached to me. It can happen but good thing is that if you did not receive your parcel you can get a replacement or refund. The management and handling is really good at Aliexpress. 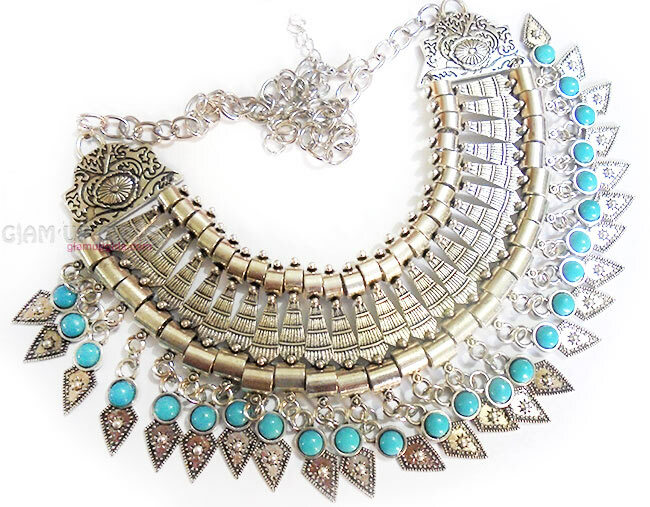 So if you are looking for budget friendly jewelry, get them from Aliexpress.